Everything old is new again… We craft our wines a bit differently at Keeler Estate. Our natural winemaking style means native yeast fermentations and very little manipulation of the resulting wines. We simply work with what our amazing vineyards offer us each year. 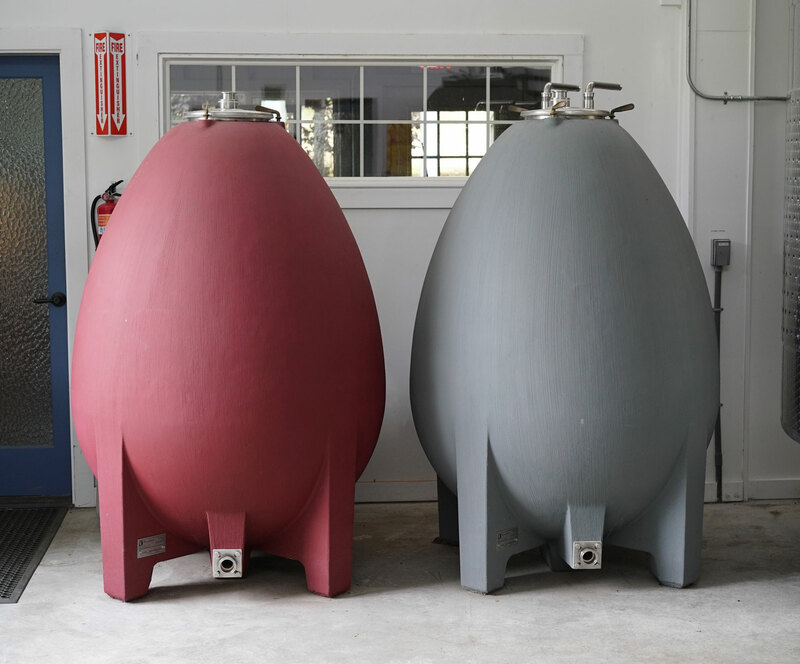 We love eggs-plaining why we choose concrete for several of our wines. The lack of corners means the wine moves easily during fermentation (similar to a vortex) and the small circumference at the top allows the cap to stay submerged. Basically, the vessel does all the hard work for us, while enhancing the texture and minerality of the wine inside. Each egg holds approximately 70 cases of wine. We have utilized our eggs for Rose of Pinot Noir, Chardonnay and Pinot Noir, but who knows what each harvest will bring. 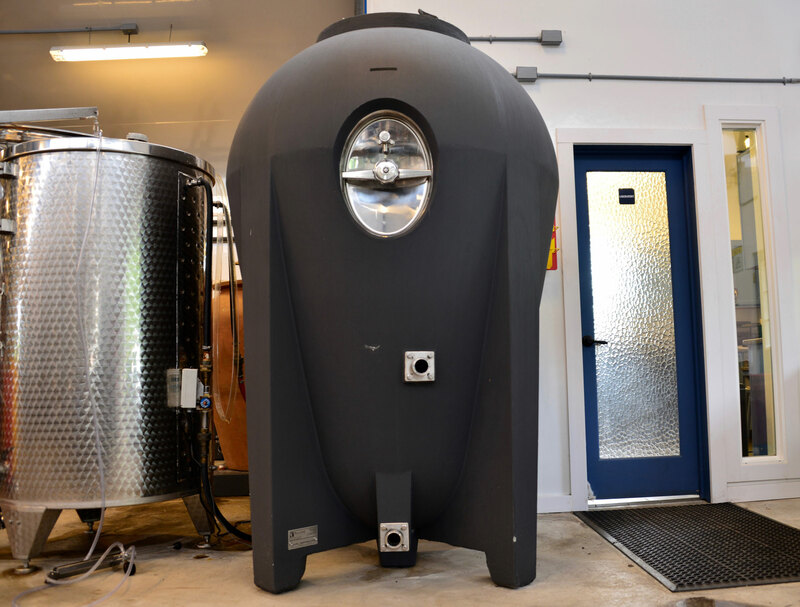 Our beloved “Darth Vader” is a very specialized Nomblot concrete tank inspired by an amphora, and we use it exclusively for our award-winning concrete-aged Pinot Gris. This wine generally shows aromas of ripe pear and sea shells, followed by bright fruit and a silky texture. The Dolia produces approximately 140 cases of wine; to our knowledge we are the only winery in Oregon that has one! These red clay “urns” were used by the ancient Greeks, Phoenicians and Romans. Similar to concrete, terracotta enhances texture, minerality and imparts a subtle spice. 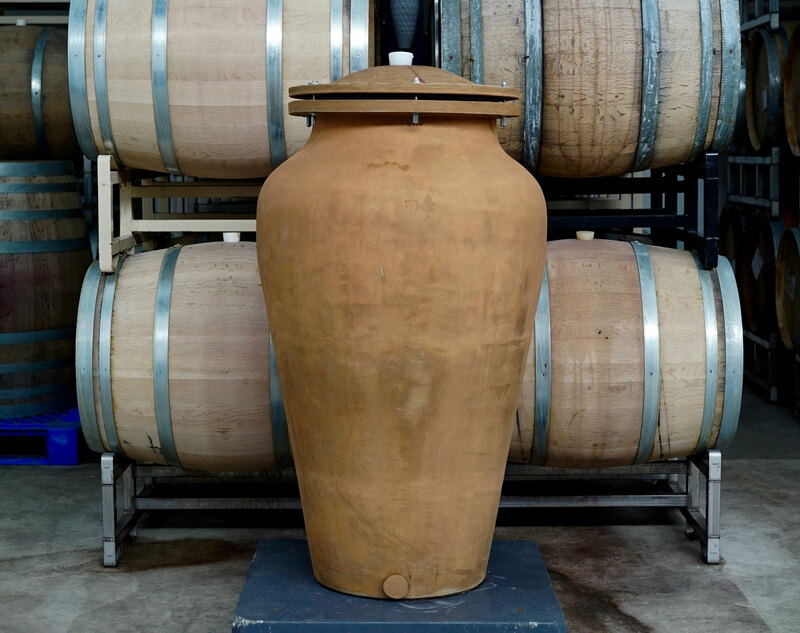 We have both small and large amphorae, their capacity ranges from approximately 30 to 70 cases. We use them for our limited-production Kabinett-style Riesling.